The process of making a purchase has changed, consumers have changed and marketing strategy followed this evolution. It is known that, when the interest for a certain product or service grows, the consumer will research on his information search tool about the product, find the lowest price, see if the item is available at the stock to delivery and can even look for complaints from dissatisfied consumers. Today, the consumer makes the rules. All that is a part of the daily lives of consumers and companies from the most diverse segments. Thanks to the growth of digital marketing in Brazil, many companies understand the importance of being well ranked on the first results of Google, Bing, Yahoo and other searchers, but much other companies haven’t started the best practices of Search Engine Optimization, known simply as SEO. Shortly, SEO is a method that reunites techniques for optimization sites, blogs and other web pages with the goal of gaining visibility on the first page of the searcher, being seen by the audience and, then, attracting those consumers and potential clients, generating organic traffic to the website. 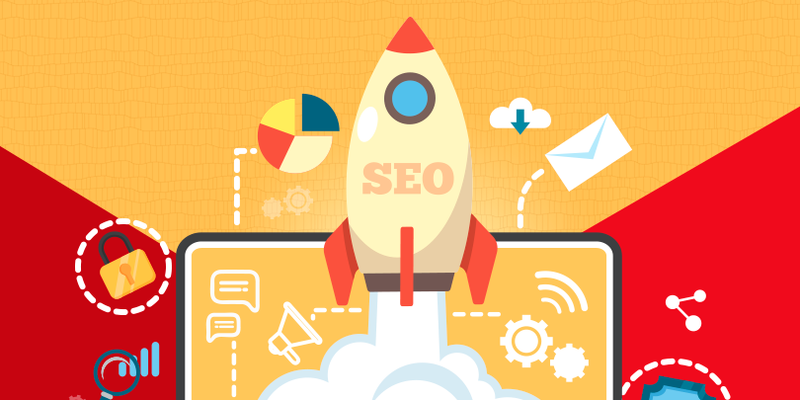 Above it all, the SEO strategy has the objective to attract visitors and leads, help websites conquer it’s space on the digital world and, by consequence, increase its revenue with new businesses. “Content is king” has become the catchphrase in digital marketing but it express a single truth: today content is the very soul and essence of your business. For SEO, the bigger the quality of your content, bigger are the odds of your page being well positioned on the search engine results page (SERPs), or simply the result page. In order to create relevant content, it’s important to correspond the main doubts and pains of your persona, the fictional character that incorporates the pain of your client. Think about your persona and which are his strugglers, and then: start working on your content! Truth be told: Writing and creating memorable content is not enough. They need to be found! And in this section we will talk about the incorporation techniques that are guarantee to pick up google and other search engines robot’s attention, locate your website and indicate them to users who fit your profile and interest in your company products. A research by Search IQ indicates that the first results on google had 2.500 word count, but this is not a rule and the ideal quantity is gonna depend on how the users react to your content. It’s important that the content is at its most complete state possible. It’s important to choose your title with care, the heading tags. The heading title should be, by default, on H1 sizes. The subtitles, in H2 or H6. From this, google’s mechanism can define a content hierarchy and tell what’s important from what is not. The well ranked sites on google also uses keywords in their text, have trustworthy URLs and image name files. In SEO, the major step to conquer authority on the search engines it’s the link building technique, that consists of receiving external links to your website, meaning that when a website of authority links yours, google will improve your position, as it assumes that it is a quality reference. Another major point your company needs to consider is the construction of all your website pages with responsive design. Google prioritizes websites with this design due to the increasing number of mobile devices. If you disconsider this, your website will lose ground on the search engines. By putting the user experience first, the search engines favor pages with decreased loading time. Users barely want to wait three seconds for a website to be loaded and google takes this into consideration. Bonus hint: Don’t fool google. The results may come after a while, but google’s mechanism know how to tell a true website from one who’s trying to cheat it with a goal in mind. Wanna know more? Access our page and see how we can help your company incorporate SEO best practices.